HCG, or Human Chorionic Gonadotropin, forms the basis for the HCG Diet, and it is a hormone produced in a woman’s body during pregnancy. 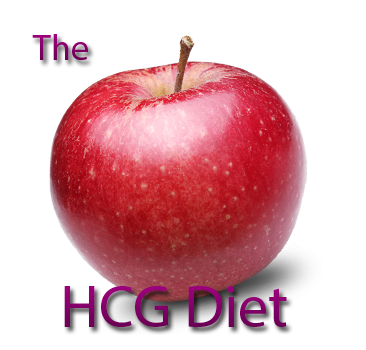 The HCG Diet was developed by Dr. ATW Simeon in Rome, Italy in the 1950’s. Dr. Simeon discovered the mechanism behind the HCG hormone upon traveling to India. While on his journey, he noticed that malnourished Indian mothers were giving birth to healthy babies. During the pregnancy they also lost large amounts of excess fat while preserving lean muscle mass. He sought to discover how this was possible and shortly after, discovered the function of the HCG hormone. The HCG hormone works to break down and mobilize fat stores in the body to feed a growing fetus in the event of famine or food shortage. When a person is not pregnant, the hormone works much the same way, and its actions are triggered when the body recognizes that there is not enough calories being consumed. For this reason, people that follow the 800 Calorie HCG Diet Plan must follow a very strict low calorie diet that consists of no more than 500 – 800 calories per day. Following a very low-calorie diet is only made possible through the use of HCG. Without the hormone to trigger the release of fat stores, a person’s body would go into starvation mode and hold onto everything taken in by storing it away as fat. Also, a person would be miserable with hunger, experience hair loss, and have serious mood fluctuations. The HCG hormone causes around 1500-2000 calories of fat to be mobilized and available for consumption as energy each day. When this is coupled with the very low calorie diet, a person can lose weight, retain muscle mass and reduce their hunger. Both men and women can partake in the HCG diet, also known as the rapid weight loss plan. Just because the HCG hormone is made in a woman’s body does not mean that the diet is limited to women; the actions of the hormone work the same in men’s bodies. Most of the time men actually lose more weight than women do. Both men and women can usually take the HCG hormone without experiencing ill side effects. This is all fat loss, not muscle. 15lbs of fat is a large amount when it comes to body composition. Other benefits will include increased energy, clearer thought processes, deeper sleep and lowered blood pressure and cholesterol. Once completing the 4 phases of the HCG diet, the body should reset to the lowered weight. Many people continue to eat healthy foods and maintain healthy habits. There is no need for the body to store fat once you start eating normally again. Those that do regain their weight may attempt to eat the same low calorie diet they ate while on HCG. However, this causes the body to think there is a famine, and consequently, it holds onto food by storing it away as fat. People who resume eating a healthy amount of calories for their height and weight and choose healthy foods are able to easily maintain their weight loss. Dr. Newsome has helped many patients to reach their weight loss goals with the help of the HCG Diet and his weight loss protocols. You too can overcome the challenges of being overweight with the help of HCG Injections!